Sonia Nwankwo aka Sonifoxy is an actress and singer from Abagana, Njikoka LGA of Anambra State whose melodious voice and creative knack for role interpretation have propelled her in an upward trajectory in the entertainment industry. She has starred in movies like Against My Blood, Cry of the Motherless, Joy of My Destiny, My Mother’s Wish, Where I Be- long, Mary the Hunter, and Sorrows and Tears among others. 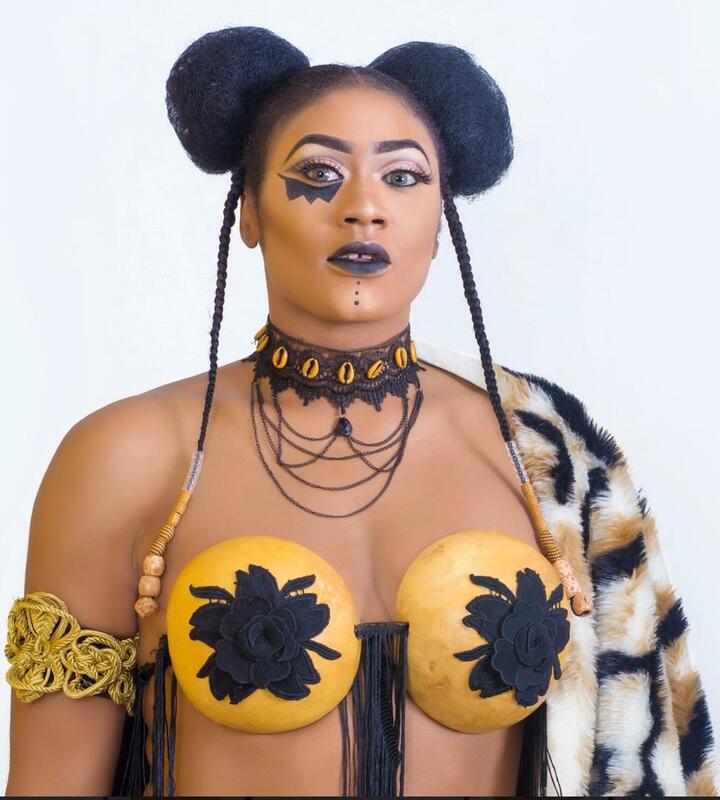 In this interview, the Obimo singer, who hit the industry in 2011, speaks on the challenges of acting, her love life, plans to storm the United States for the African Film Festival 2019, and lots more. How did journey into the movie industry begin? Entertainment has always been the thing for me, right from when I was very much younger. I used to be in the Debating and Dramatic Society in my school. Back in the University, I used to travel to different states during ASUU strike to learn more about acting and lots more. Who are those you look up to in the entertainment industry? I admire a lot of people especially the women. One of the people that inspired me growing up was Stephanie Okereke. I remember wanting to act like her. I also ad- mire Patience Ozokwor, Ini Edo and Genevieve Nnaji. I still learn from them to this day. Which would you say is the most challenging movie you’ve done to date? I’ve done so many but one I can’t forget in a hurry was Against My Blood, an epic movie. There were times we had to sleep in the bush and I was seriously bitten by insects and I fell very sick for almost two weeks after leaving that set. Which entertainer are you crushing on? H m m m … well, I love a lot of Nigerian entertainers but I think when it comes to crushing, I would just go for David Adeleke popularly known as Davido my schedule and see if he can deal with it. At first, they weren’t supportive at all, especially my dad. But when they saw the outcome of my jobs, there was a change of heart. Today, my mum is my biggest fan. She even goes as far as watching my movies and downloading my songs, even before I inform her. Have you encountered sexual harassment in the industry? Everybody propably has, but I think the way you handle it is what matters. When I started, I remember losing a lot of roles just because I refused to play some dirty games. But I’m glad that I stuck to my guns and now, my talent is making a way for me. Yes I do, I criticise myself a lot and try to be better. I must confess. I really try to be open-minded to criticism even though, I know that sometimes it may hurt. And I also watch my role models who have been there before me and learn from them. I love my fans dearly because they have brought me this far, and I’m still moving up. Talking about my male fans, I love them too but sometimes, some of them try to cross boundaries. However, I know how to handle them without being offensive; my male fans are the best ever. Musically yes, I’m working on a song that I’ll be performing at the African Film Festival in Dal- las Texas, USA, where I have been invited to be part of the workshop and also perform live. Asides acting and singing, I also own a farm; I’m a farmer.